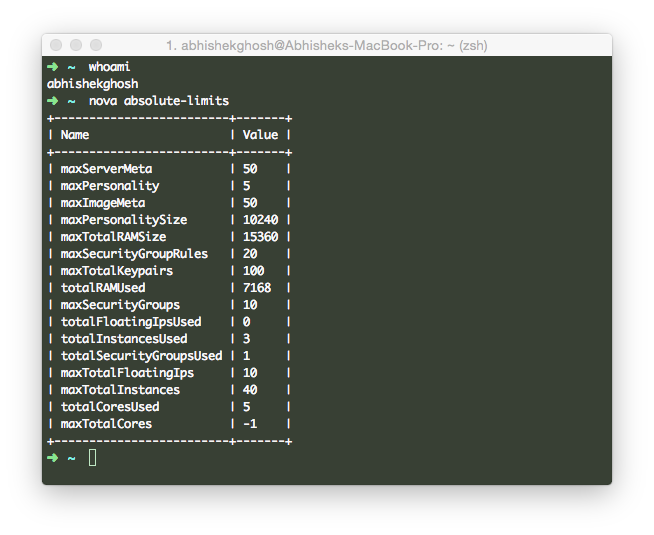 Here are Some Important Python-Novaclient Commands Mainly For HP Cloud, Which Uses OpenStack. Python-Novaclient is More Powerful Than GUI Tools. If you need to setup the Python-Novaclient, you should read our guide for getting started with HP Cloud. On GUI dashboard, there is a file named OpenStack RC file. From that file, you can configure your local computer’s client. Yeah, on IaaS; you are limited by many stuffs, the next level up is Software Defined Data Center, which will give you more resources. This Article Has Been Shared 1396 Times! Agile software development has 12 principles. Agile application is the result of Service Oriented Architecture (SOA) and Agile development. Cite this article as: Abhishek Ghosh, "Important Python-Novaclient Commands (HP Cloud OpenStack)," in The Customize Windows, January 21, 2015, April 21, 2019, https://thecustomizewindows.com/2015/01/important-python-novaclient-commands-hp-cloud-openstack/.